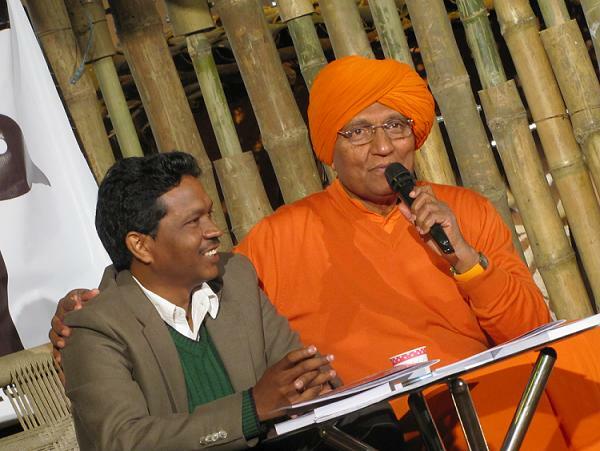 Ministers who need to raise issues of tribals in Parliament “become slaves” of senior ministers and forget about the “rights of Adivasis”, Swami Agnivesh on Thursday claimed. “All those who are elected as ministers to represent tribals in the Parliament to fight for their rights and atrocities committed upon them, themselves become slaves of big ministers and forget about the rights of Adivasis,” he said after releasing a book titled ‘Whose Country is it Anyway?’ written by Gladson Dungdung, a human rights activist of Jharkhand, at the World Book Fair here. adivaani, adivasis, Gladson Dungdung, Whose country is it anyway?